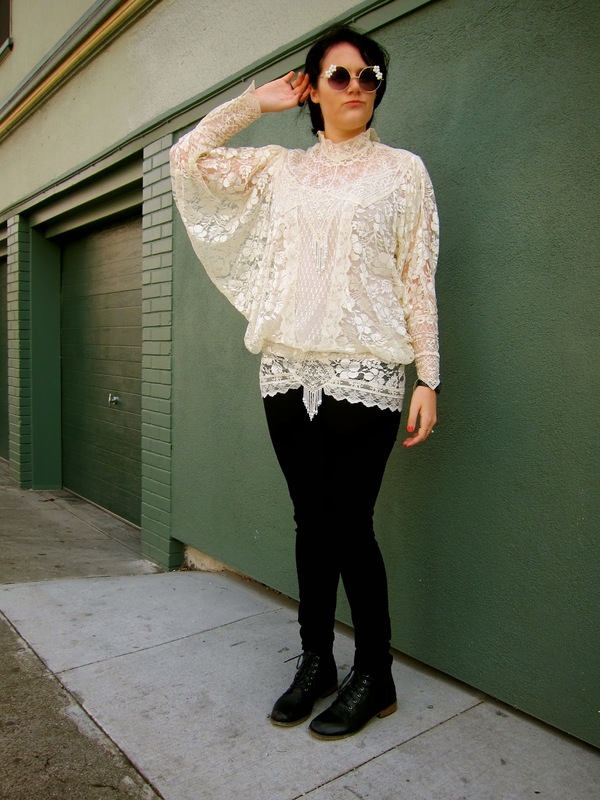 This top is actually part of a two-piece wedding ensemble that I snagged for $20 from a vintage store in LA. The top is worn over a cream color satin dress that I'm saving for another occasion. 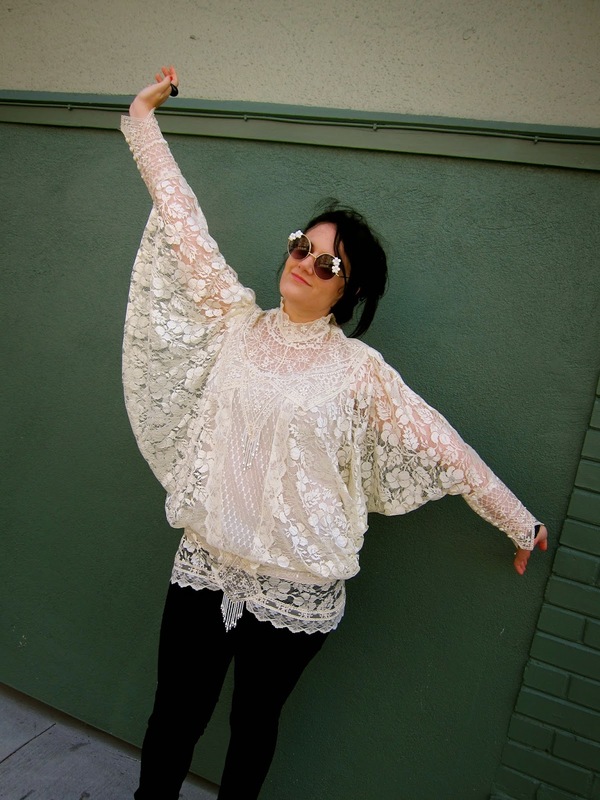 My dream was to be able to wear this top casually, but pairs it with tight jeans and boots. Coincidentally, I happened to find this awesome pair of sunglasses in Thailand which matched perfectly with this outfit.